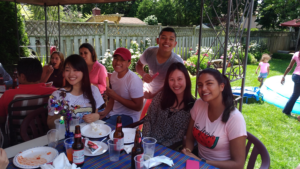 Students and staff enjoyed a barbecue lunch of burgers and hotdogs at teacher Randy’s house in downtown Burlington! 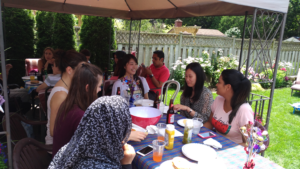 It was a hot afternoon and a great opportunity for students from different groups to get to know each other and drink some cold beer! « Canada Celebrates 150th Birthday!